Copyright (C) 2018 NVIDIA Corporation. All rights reserved. Licensed under the CC BY-NC-SA 4.0 license (https://creativecommons.org/licenses/by-nc-sa/4.0/legalcode). 2018-07-25 Migrate to pytorch 0.4.0. 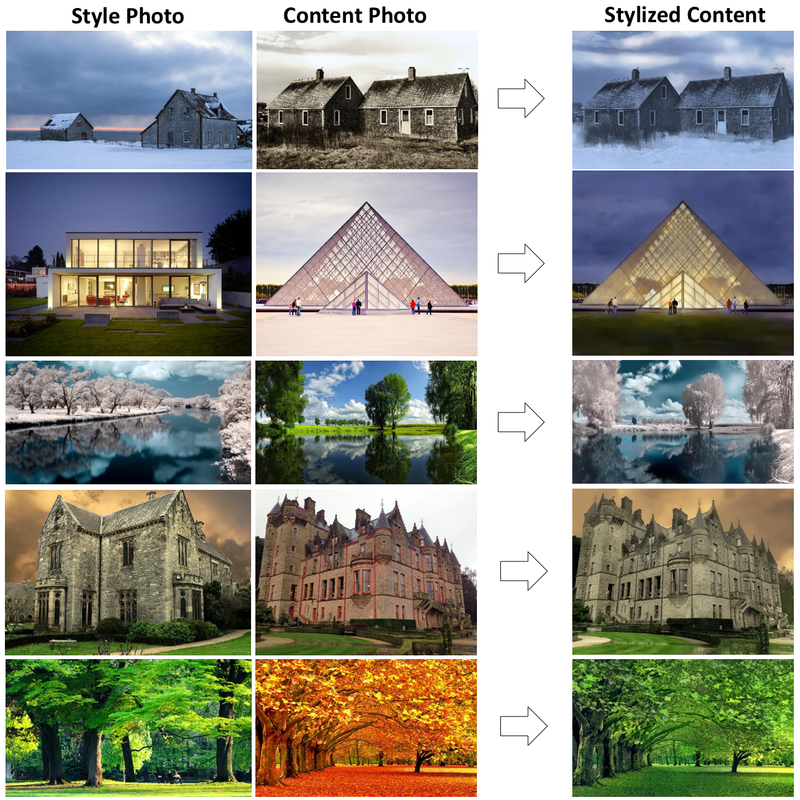 For pytorch 0.3.0 user, check out FastPhotoStyle for pytorch 0.3.0. Add a tutorial showing 3 ways of using the FastPhotoStyle algorithm. 2018-07-10 Our paper is accepted by the ECCV 2018 conference!!! Given a content photo and a style photo, the code can transfer the style of the style photo to the content photo. The details of the algorithm behind the code is documented in our arxiv paper. Please cite the paper if this code repository is used in your publications. Please check out the tutorial.